Mohawk’s Joyce Centre for Partnership & Innovation received the 2017 Innovation in Sustainability Award from the Canada Green Building Council at its annual awards gala in Toronto on Thursday, October12th, 2017. Mantecon Partners is proud of it’s role as the structural engineering firm of record for this sustainability project sustainability and for work done in partnership with B+H Architects and mcCallumSather. The Joyce Centre for Partnership & Innovation is the cornerstone of a record-setting $54.25 million renewal of technology labs and classrooms. This five story centre is the first net-zero energy institutional building in the region, a landmark for the Greater Hamilton Area. 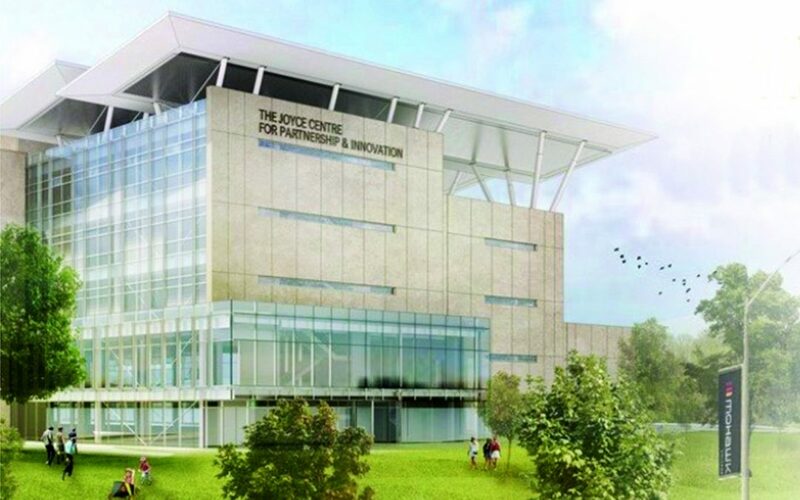 The Joyce Centre for Partnership & Innovation will demonstrate Mohawk’s vision to be an environmental leader by demonstrating its new net-zero energy carbon standard andvalidation process.